Startz Veterinary in Canyon Lake TX have assembled a caring team of veterinary professionals to provide quality healthcare for your pet. 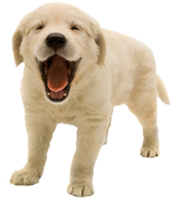 We have a well-equipped veterinary facility which is clean, comfortable, and efficient. Call 830-899-4900 to schedule an appointment and we will find a time that is convenient for you. Once a year, you should take your pet in for a check-up. This will include a full physical exam, and may include teeth and gum cleaning if needed. Our veterinarian will check the health of your pet from head to tail: we strive to make you glad you came to Startz Veterinary for service. In some circumstances, Dr. Kaufman will refer you to a specialist who has advanced expertise in areas such as ophthalmology, internal medicine or surgery.